Lavern Heideman & Sons Limited is a fully integrated forest products company including forest management (company holdings, private, and crown), two sawmills, a remanufacturing operation, a planing mill, and a distribution yard. 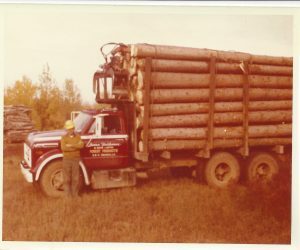 The company began as a logging operation in the 1960’s and has grown since that time into its current form today. Heideman employs over 100 people across Eastern Ontario and Western Quebec. The company has Crown allocations in two Sustainable Forest Licenses’ (Mazinaw-Lanark and Ottawa Valley) plus a wood supply commitment from Algonquin Park. The company also manages over 100 private properties as part of its private land management program. The original sawmill was built in 1976. In 1997, a second sawmill was constructed to process small diameter sawlogs down to 4”. In 2006, the original circular mill was rebuilt and a modern band saw was added. In 2014, the company acquired a Pine planing and distribution company. In 2015, Heideman acquired a wood supply commitment from the Algonquin Park Forest. In 1999, Heideman was presented with the National Forest Stewardship Recognition Award in recognition of efforts to practice careful logging with respect to other forest users.